Pregnancy is one of life’s greatest miracles and mysteries. Consider that from the microscopic union of two pairs of chromosomes a woman’s body creates a human life. There are many risks faced by you and your baby during pregnancy; an experienced doctor or midwife can give you the proper warnings. One major potential risk is maternal malnutrition. Malnutrition, whether significant or minor, impacts the health of both you and your baby. A folic acid deficiency can lead to neural tube defects in your developing baby. Neural tube defects can be devastating. Your baby is most vulnerable during the first 2 months of pregnancy. At this point, many women do not even know that they are pregnant. So, folic acid proves essential from the beginning of your pregnancy. Your doctor recommends taking at a minimum 400 mcg/day of folic acid. However, many studies are now recommending that women take 800 mcg/day. Folic acid supplementation is essential to the development of a baby during the first trimester. Even if you are just thinking about getting pregnant, start a supplement with sufficient folic acid. Vitamin A is another important nutrient. Vitamin A is critical for the normal development of heart, lung, and kidney tissue in your baby. Unfortunately, many women are deficient in vitamin A. Women who have had multiple births or a short interval between pregnancies are especially at risk. Low vitamin A levels in pregnant women lead to low birth weight babies—potentially putting them at risk for infection and failure to thrive. Calcium can help prevent preeclampsia. 10 million women each year are diagnosed with preeclampsia. Over half a million babies and 76,000 mothers die from complications related to preeclampsia each year. A simple supplementation with 1,000mg of calcium a day can reduce this risk and save lives. So what is the deal? Why don’t women, as a rule, receive better support when it comes to nutrition? Prenatal vitamins are available and recommended by all doctors caring for pregnant women. The truth is many prenatal supplements don’t have everything you and your baby need. Most are designed using outdated research. Many supplement companies eliminate nutrients or reduce dosages to accommodate marketing concerns and reduce pills. When an OB tells you to “go find a good prenatal”, they turn you over to marketers—motivated to sell products rather than provide the best prenatal vitamin possible. Educate yourself about the benefits of folic acid, vitamin, and omega-3 fatty acid supplementation. It will benefit you during your pregnancy. Nutrition should not be an afterthought; nutrition should be the primary concern for pregnant women and their responsible healthcare providers. Diet is important, but diet alone is not enough to give mother and baby the best nutrition possible. Supplementation is an essential part of all prenatal medicine. It is important to find a supplement that has everything you and your growing baby need. Any mother knows what pregnancy, delivery, and those first few months with a new baby can take out of you. You may feel depleted, exhausted, and in some cases depressed in the weeks and even months following delivery. This is normal and not surprising. Your body has been through the ringer. The little miracle sleeping on your shoulder represents a physiologic and metabolic drain of epic proportions. Following delivery, the focus turns to your recovery and nutritional needs—especially if you are breastfeeding. There are few products on the market that cater to the nutritional needs of a mother after birth. Breastfeeding provides countless benefits for the new baby. An estimated 79% of babies born in the U.S. are breastfed at birth. That number drops to 49% at 6 months and down to just 27% at 12 months. Mothers quit breastfeeding for many reasons, one being the physical toll. New mothers are depleted physically, emotionally, and nutritionally. Comprehensive nutritional supplementation supports your energy and other needs during lactation. Common belief dictates that your baby, whether in the womb or at the breast, will take what it needs and only what it needs from you, regardless of your nutritional state. Science has proven that this is not always the case. What a mother takes into her body can directly affect the health and development of her baby. Your nutritional stores are literally pouring into your breast milk. With this in mind, make sure to get the nutritional support you need so you don’t become depleted. the nutrient depletion of breastfeeding. It also supports lactation and helps you maintain quality and sufficient breast milk. Your OBGYN may suggest you to continue taking a prenatal vitamin while breastfeeding. While helpful, staying on a prenatal can no longer be considered the best advice a new mother can get. You need different nutritional support after pregnancy, so look for nutritional products that support those needs. 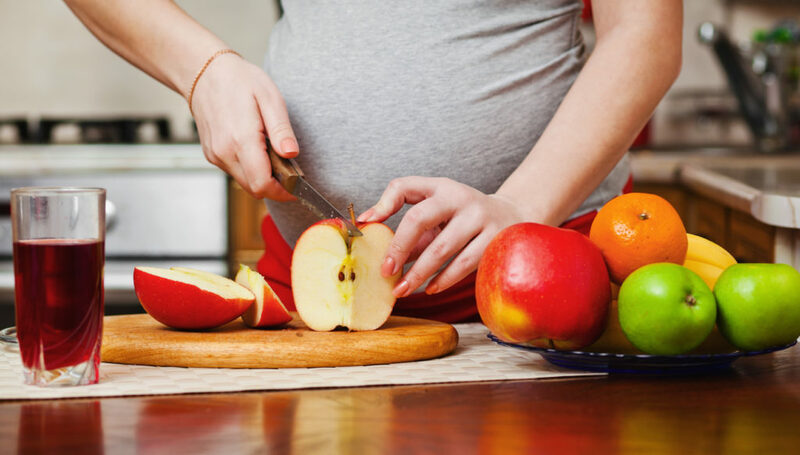 During pregnancy, your body needs to not only care for your baby but prepare for the upcoming birth. Following pregnancy, your body not only needs to supply life to your baby but recover from birth. Nutritional products designed for moms can help ease the physical toll of pregnancy while continuing to support your baby. This extra support will complement a healthy, balanced diet, make you feel better, and reassure you that you are getting everything you need for your recovery and the health of your baby.